I found this tasted just like peanut butter cups, which was such an unexpected bonus. Chia seeds are natures little superfood because they are incredibly nutrient-rich. 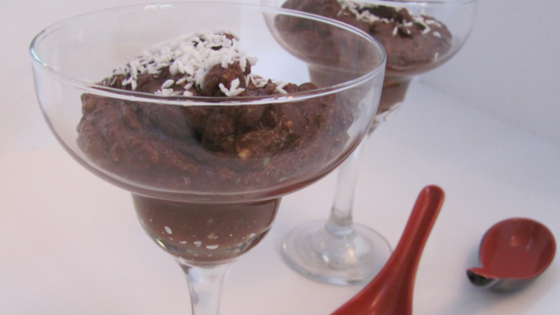 They add another healthy twist to a healthier version of chocolate pudding. To keep it healthy, use unsweetened peanut butter and unsweetened cocoa powder. Place all ingredients, except for the chia seeds into a blender. You can also use a handheld blender, which is what I used. Blend until smooth. Pour into a bowl, add chia seeds and stir well to combined. Cover and refrigerate for 2 to 3 hours, or until thick. If you don’t like the texture of chia seeds, blend one more time after it gels. This will give it a smooth pudding like texture.